Choo-choo! Apple reported record results this week, but that doom train keeps on a-chugging along! Donning the engineer’s cap is Forbes “contributor” Peter Cohan. You know, tax season is coming up. Is it possible to write off “contributions” from the Forbes “contributor” network? The Macalope shall have to remember to ask his accountant, Amy. Like most of those whose services he employs, Amy is also a mythical beast. (In her case, a wyvern, not that that has any reflection on her accounting skills.) The only one that might throw you is Carl, the contractor. Carl looks like a human contractor, but he shows up on time and completes stuff pretty much on budget. So, clearly supernatural. Anyhoo, back to Forbes, we see Cohan is still plying the oldest profession: Predicting Apple doom in the face of all the overwhelming evidence to the contrary. Well, it’s all relative, right? The Macalope doesn’t think Apple’s doomed at all so maybe Cohan’s reasons will show that it’s more doomed than not-at-all doomed. Perhaps we can all agree that Apple is a mere soupçon of doomed. Un petit peu. Ein bisschen doomed, vielleicht. 少しだけ。Etc. In recognition of reality, Cohan has reduced his list from seven things two years ago to just six now. Progress! Just think, maybe in 12 years he’ll stop writing these pieces! 21 months ago, I countered a bullish Business Insider article about Apple. After blowing through its fourth-quarter earnings on January 27, that bullish case is looking pretty strong. And these clown shoes I’m wearing are looking pretty large! Why did I even buy these?! Who wears clown shoes?! They’re inconvenient! I’m constantly tripping over things! What was I thinking?! Investors should always take pause when thinking of investing in Apple. Amazon, Google, Microsoft, those are all safe bets. Living in an expensive neighborhood is now a kind of “doom.” Got it. According to the Consumer Electronics Association, smartphone ASPs are estimated to drop 38% from $440 in 2010 to an expected $275 this year. Well, that’s nice, but the average selling price of the iPhone has gone up for the last two quarters and has been pretty stable for the last three years. Apple’s modus operandi is not chasing price down the slope. Insert this into the array named Things_Cohan_Doesn’t_Get_About_Apple in position 1 (or 0, depending on how you index your arrays). 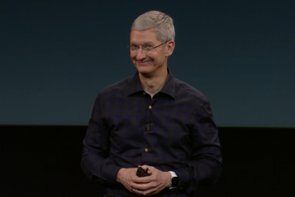 Apple’s margin was up this past quarter by 5 percent. Keep digging, Peter! So? If sales of iPads are being cannibalized by the iPhone and the Mac, who cares? Over the last several months, I have asked about 200 students to raise their hand if they would purchase an Apple Watch. While most of them sat stony-faced with their hands in their laps, one said he would buy it because it would make him feel cool. Here’s a better question: Can Peter Cohan innovate? Doesn’t seem like it because he’s still trying to sell the same tired old Apple doom he’s been selling for years.